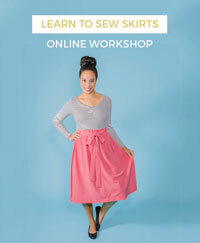 Tilly and the Buttons: Sewing Space Tours... Ashley's Sewing Sanctuary! Hello! 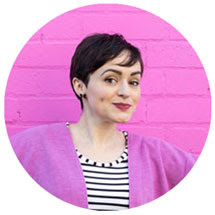 I'm Ashley, and I'm the face behind Lazy Daisy Jones, where I blog about living creatively and colourfully. 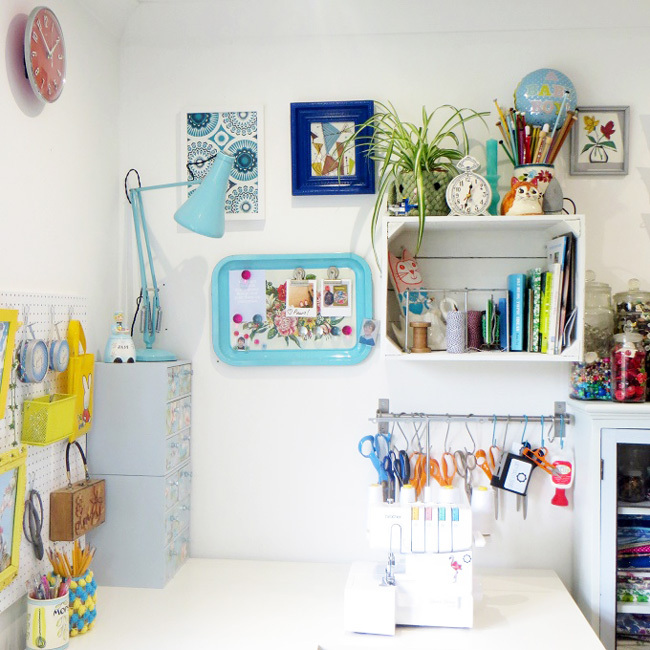 I'm here to share with you my favourite room in the house - my sewing room. I live with my family and a menagerie of pets, in the glorious rural county of Dorset, in the South West of the UK. I am lucky to have a very special room all to myself. I use this room for sewing, designing, blogging, crocheting and reading. 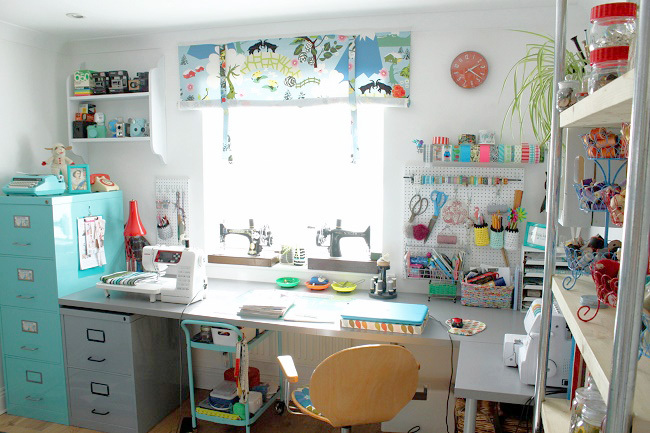 This room gets called various things – a sewing room, craft room, Mum’s room! I just call it my room – it is my sanctuary, and it would be hard to live without. My room has evolved over the last eight years, from a spare room with a double bed to how it is today. I would describe it as “Vintage Contemporary” (if there is such a thing?). It is bright and colourful and gets the sun in the morning. Can you see why it's my favourite room in the house?? Much of the contents of this room has been restored, recycled and hand built for me by my very clever, uber-talented husband. I have some purpose built shelves that hold vintage vanity cases that have been collected over many years. 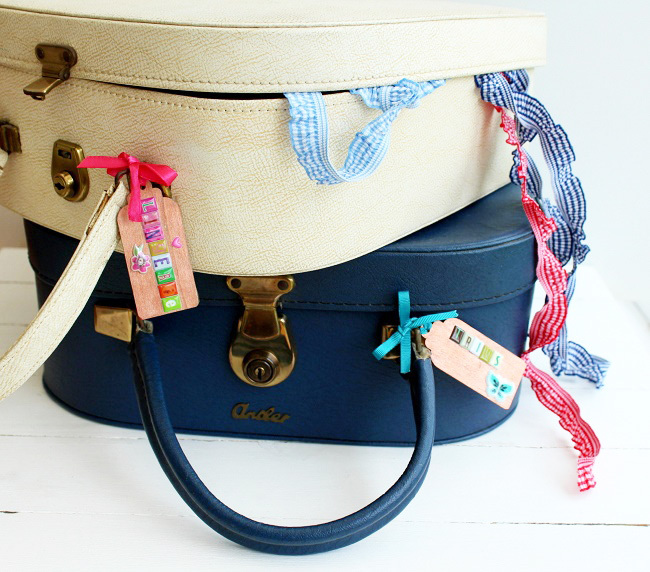 They contain all of my haberdashery items, such as ribbons, zips and bias binding. I try to keep them all labelled and up-to-date, but sometimes (I’ll admit!) I have to search through a couple to find what I want! 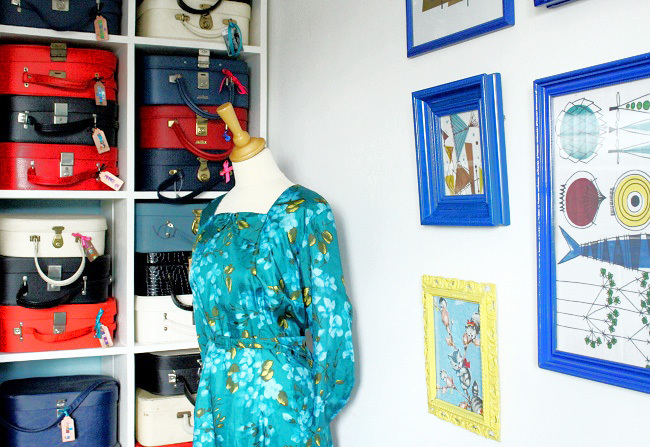 My favourite piece in this room is the turquoise filing cabinet. My husband rescued it from a warehouse clearance. It was rusty and in a terrible state. He stripped it down, rebuilt and painted it for me (he used to do this professionally with cars). It is SO glossy, I can see my face in the surface! 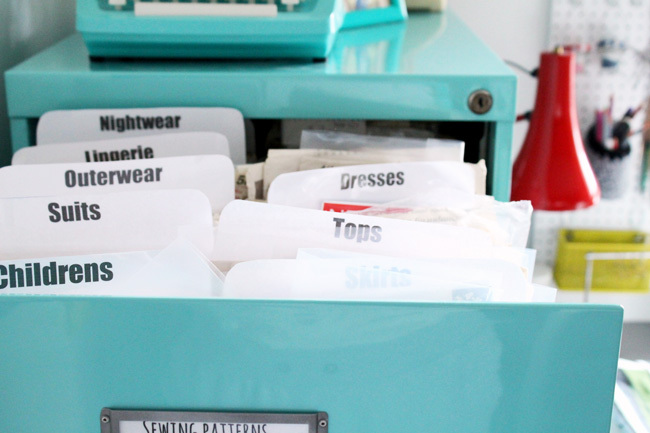 This cabinet is filled to the brim with sewing patterns, some new, but mainly vintage. It was recently joined by another rescued mini filing cabinet – this time I chose a silver grey colour. My room is full of clever storage. 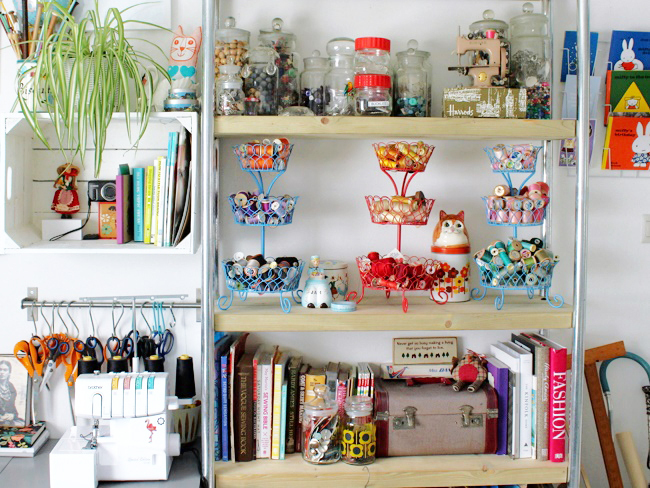 Jars of buttons sit on heavy industrial bookshelves, again made for me by my hubby! Even my sewing and crochet magazines have their own bespoke shelving units, made by him. I have an old yellow chair that I use for sitting in when I hand sew. I inherited it from my darling Nan who has now passed away. She taught me so much about textiles and yarn, and I often wish she could see my lovely room. My husband and I are avid boot fair fans and I have so many vintage trinkets (and even sewing machines) on display in this room, that I fear I may need another room soon to display them all! The only things that are not vintage or restored in this room are the large fitted wardrobe that houses my fabric, the rug, and the grey worktops, all from Ikea. So there you have it, that's my space! I hope you enjoyed it! 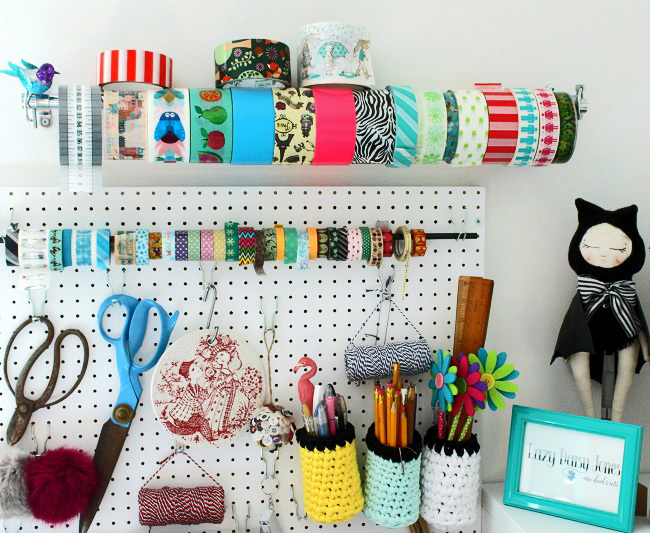 Thanks Ashley, for inspiring us to create a sewing space as beautiful as yours! 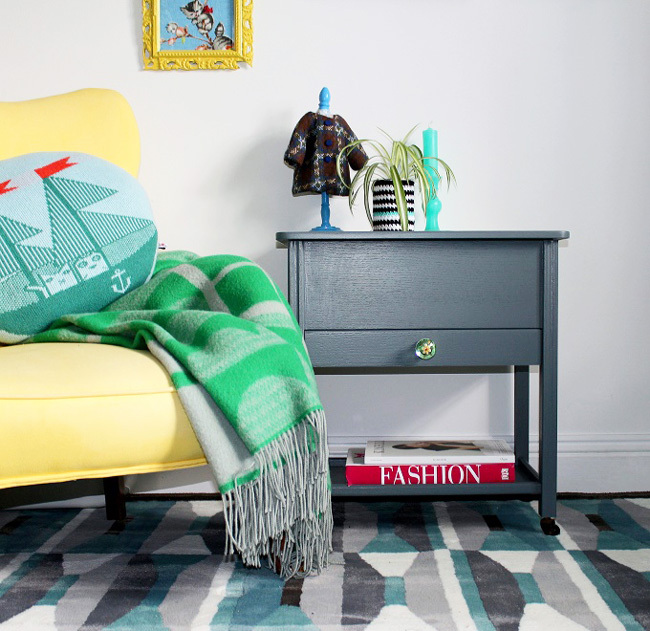 We love how you have combined vintage and contemporary to make a colourful and stylish space. 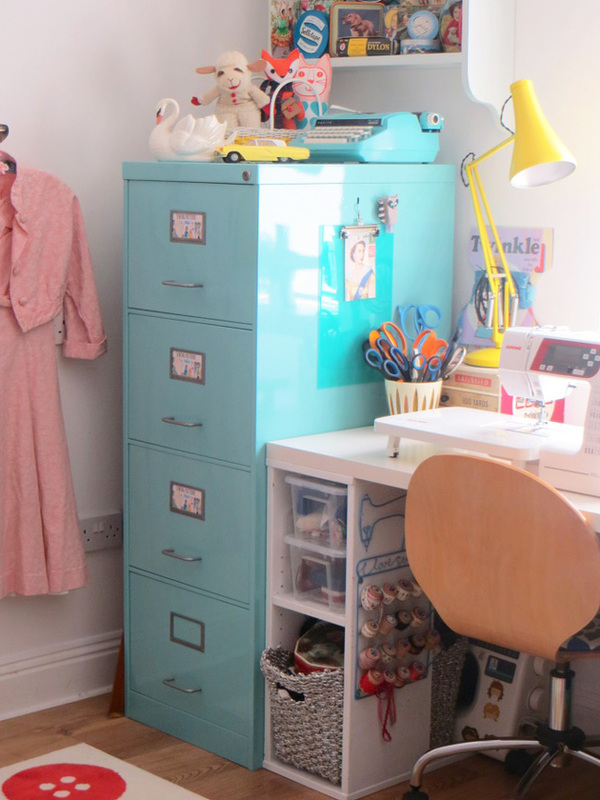 Catch up with the rest in our series of Sewing Space Tours, and it's not too late to share your own if you wanna be featured! Read about our submission guidelines here. Until next time!